Like any new business venture, however, new opportunities bring new challenges and expenses. For cannabis businesses which are prepared to manage these expenses, the opportunities can bring lasting cash flow to a growing industry. Business Licenses: The majority of provisions in the Adult Use of Marijuana Act dealt with licensing businesses to sell cannabis products. According to the Desert Sun, the state is frantically working toward the “massive undertaking” of preparing its agencies to meet the Act’s January 1, 2018 deadline for issuing cannabis business licenses. While the cost of obtaining such a license has not yet been determined, it is highly likely that the cost of this “massive undertaking” will be passed on to consumers. Once the state’s licensing process becomes established and more efficient, the cost of obtaining a cannabis business license will likely decrease. For now, however, cannabis businesses should be prepared to pay a hefty initial licensing fee. Additional administrative fees, fines, surcharges, taxes, and other costs may also arise. Businesses must allow for them in order to weather the revision of the cannabis industry. Commercial and Industrial Rents: Bloomberg New reports on a trend among industrial real estate properties in Denver, Seattle and Portland. When Colorado, Washington and Oregon legalized recreational marijuana, the price of renting industrial space in major urban hubs increased dramatically. Research firm CoStar Group, Inc. expects the trend to continue across California, Maine, Massachusetts and Nevada, which have also legalized recreational marijuana. One factor driving up rents is the unique needs of cannabis growers. Most entrepreneurs prefer small spaces which are easier to secure. In addition, federal law prohibits the growth of marijuana, which means those applying for California cannabis business licenses must demonstrate they already have the facilities to cultivate marijuana entirely within the state. 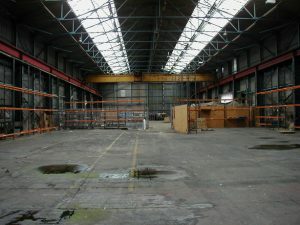 The biological requirements of plant life must also be considered when looking for industrial space to rent. Strategic Business Planning: As the cannabis industry undergoes massive changes in the wake of a regulatory revolution, business owners must plan for long-term growth. Leafly reports on the many different strategies which cultivators are exploring. Some growers are simply planning for massive expansion of their operations. Others are tapping a market niche by creating craft brands. Smaller cannabis operations are banding together to create co-operative groups, so that all members can access information and financial resources to adapt to the new cannabis industry in California. The new 2018 business regulations for recreational marijuana can bring unexpected operating expenses and other challenges. Prepare for these regulations with a compliance action and financial planning.